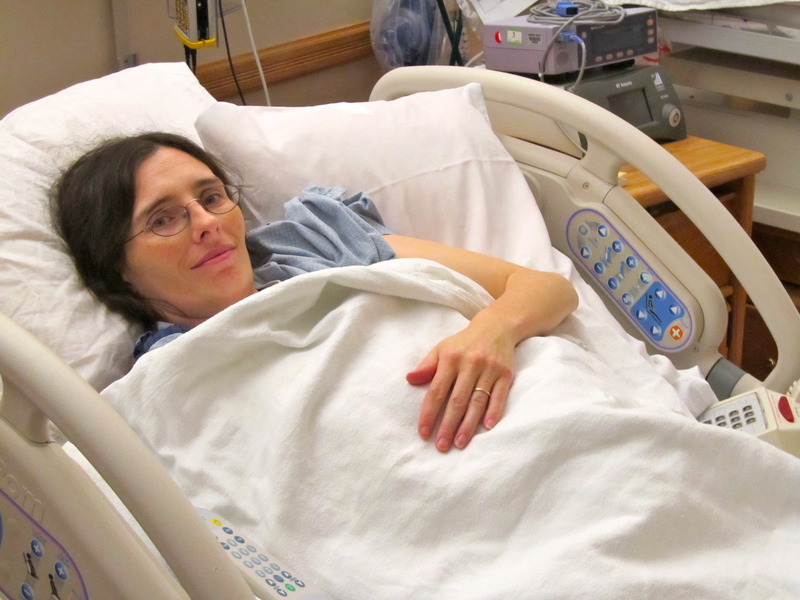 I received so many kind comments when I posted I’d been put on bed rest due to placenta previa. Thank you… it really helped to connect with people virtually, especially when prevented from getting out to see people face to face! During my time down I did get some felt play food made for Eli, learned how to knit a simple wash cloth, tried my hand at a crochet project that I’ve since abandoned as unworthy of further time investment. It’s now been two weeks since I was cleared for normal activity after an ultrasound showed that the placenta has indeed moved up and out of the way. I’ve just been so swamped trying to make up for lost time in Christmas prep that I hadn’t yet gotten around to updating my new status on this blog. We have finally agreed upon our wee one’s first name, but the middle name is still to be determined. From here on out she will be known as Zoe. The name means “abundant life” and is one I have always liked. It seems rather appropriate in this case as while I had thought Eli was very in the womb, this one is already running laps around even him! I am so thankful that this pregnancy is no longer as high risk as it was, Zoe is doing very well, I am out of bed (!) and my family is able to celebrate Christmas with the extended family. Life is good indeed! The little one continues to grow steadily and is VERY active. Today we are at 27 weeks. I began bleeding a little bit on Friday though and the doctor directed me to go to the hospital. There monitoring showed that thankfully there are no contractions. I stayed overnight for continued monitoring as a precaution. I am now home again, but on bedrest. Previously I had been on restricted activity, such as no heavy lifting, because of a marginal placenta previa. I had hoped it had moved by this point, but since I began bleeding that would seem not to be the case. I am now allowed to get up to use the bathroom, but shouldn’t even sit at the table to eat. 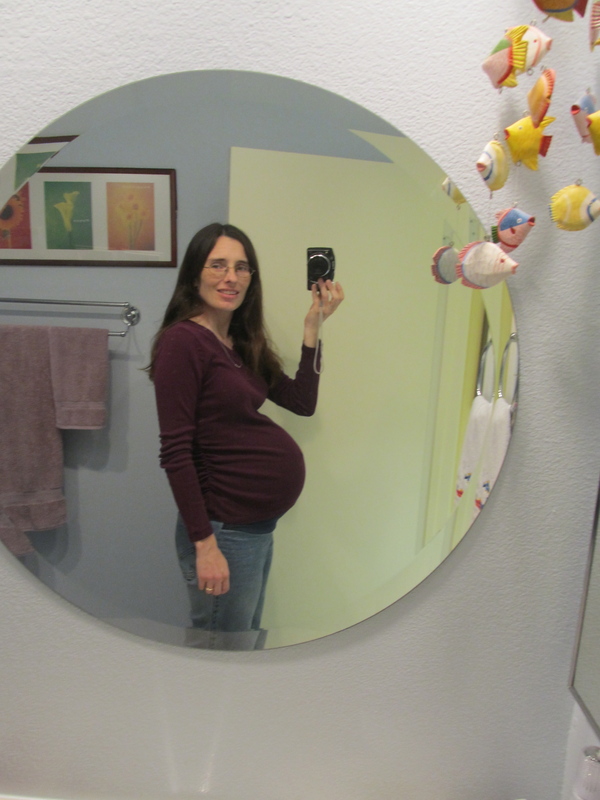 I was on bedrest for a month with Eli’s pregnancy as well until the partial placenta previa migrated to a safer location. It was much earlier in the pregnancy though. I’m finding it much more difficult this time around in that I now have a toddler to take care of, and it is happening right in the thick of all of the Christmas preparations. I had so many projects on my sewing list between gifts I wanted to make and clothes the Eli needs now and the baby will be needing soon enough. Yesterday I was up more than I should have been. Today, I’ve been doing a bit better, and tomorrow I’m sure I’ll do better still. It is hard to stop your life on a dime, when you weren’t expecting to need to do so just yet. When I have been up it has been to get some things organized so that I can have work to do with my hands as I rest, and to put things Eli needs where he can have more independant access to them, such as the pack of diapers down on the floor instead of up on the shelf. He has been great at fetching things for me that I need and being as helpful as a little boy can be. My husband has taken on the lion’s share of all there is to be done as well as his regular work. I am so glad he works from home these days. 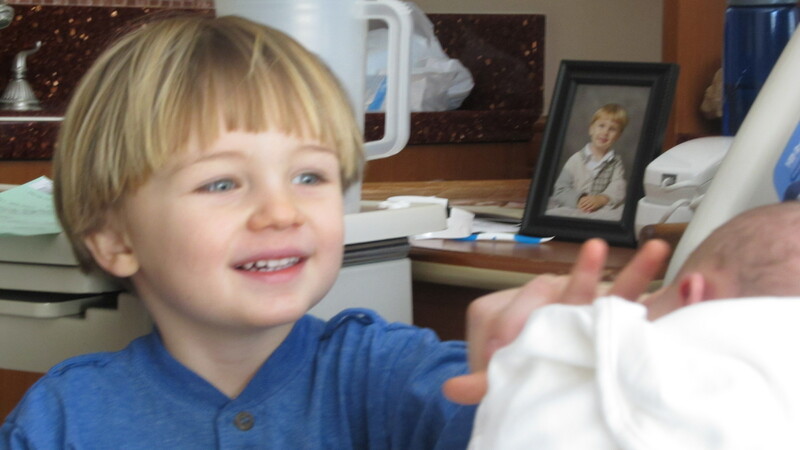 My sisters-in-law have also been wonderful: Jacki has been taking Eli back and forth to school, running out to the craft store and produce market for me, and coming to take Eli out to play; and Susan, who is an incredible cook, has sent over yummy food that we have just to heat up. At a time when I am tempted into a funk over this unwelcome development, I find I don’t have to look too far to see how truly blessed I am. Of course the most important blessing of all is that right now this baby inside me is still doing just fine. 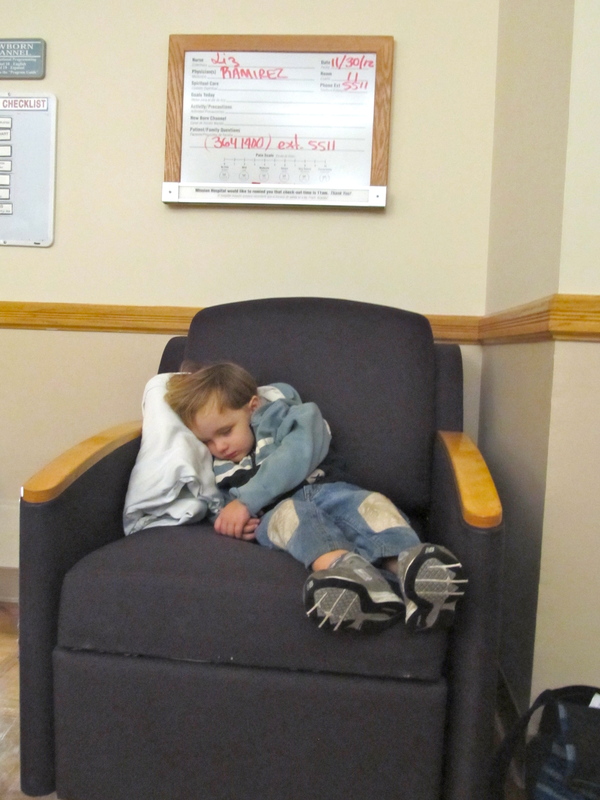 Eli slept the entire time I was being admitted and checked out. I’m not sure how much blogging I’ll be getting done over the the duration of Operation Bedbound. On one hand I have more time now, and now that I’m slowly figuring out my husband’s old laptop it looks like I will still have computer access. On the other, I have to see how streamlined I can make the process of photgraphing and downloading pictures, etc. Not that my photography tends to be spectacular anyway, but for now I may have to be content with flash photography with the bedspread as a background. Then there is the issue of all of the projects I had slated to accomplish and share here being mainly things that require the use of the sewing machine. That, of course, remains a big no-no. My plan thus far is to do something I’ve been wanting to do for a long time but haven’t had the right circumstances… learn to knit and crochet! Using YouTube I’ve already learned to cast on and begin knitting. I’m about 1/3 of the way through my first washcloth! Not exactly blog-worthy eye candy, but I’m very happy about it. I hope to quickly learn other stitches and how to read patterns. Then it’ll be off to the land of all cuteness, knitted baby clothes! I’m also planning to try my hand at crocheting this baby hat. 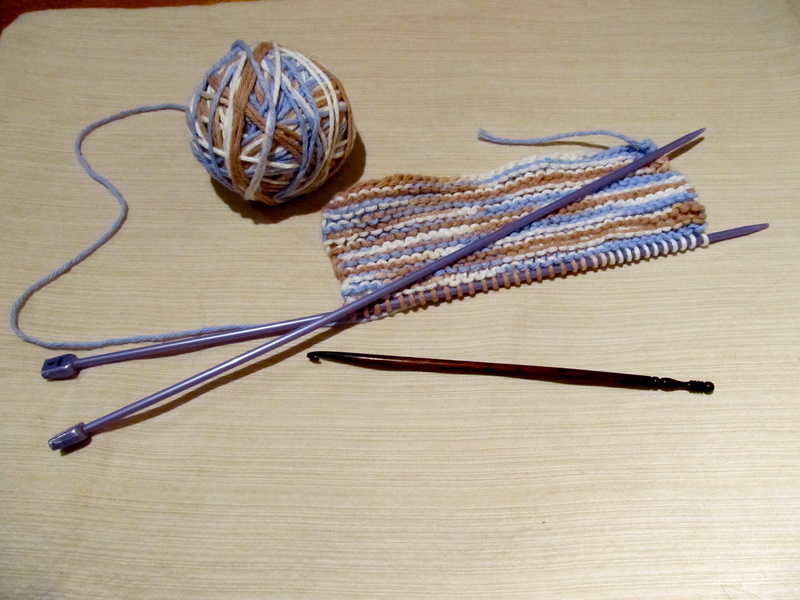 Jacki gave me this lovely crochet hook that is the perfect size for the project this morning. My first knitting project and new crochet hook. My other focus will be sewing felt food for Eli. He will be getting a play kitchen for Christmas and will need some food to prepare in it. I think it will be a lot of fun to wade through the many felt food tutorials I’ve pinned and sew away. Maybe I’ll be able to work out and share a few tutorials of my own. My apologies to the many people who have commented on other posts here at Folk Havenover the past few days for not responding. I read them all, and appreciated them. Now that I can use this laptop I hope to keep on top of these things a bit better again. 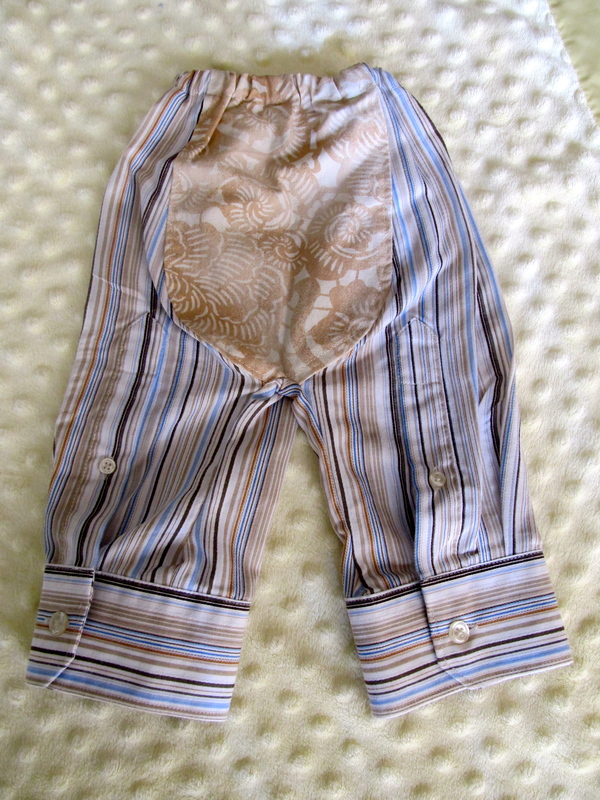 I posted that I’d be focusing on cloth diaper accommodating pants, and that’s exactly what I’ve been doing. These first couple I’m going to show you I just love. 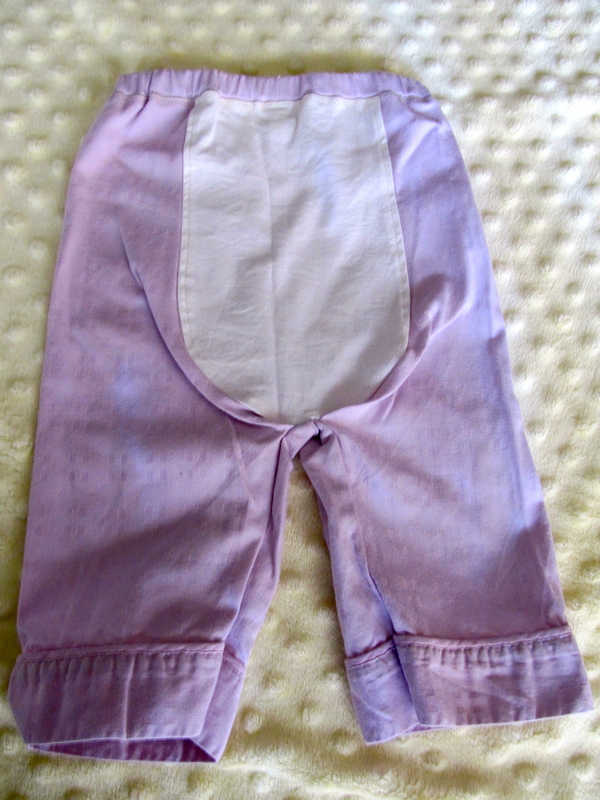 They are Reversible Bubble Pants from the book Growing Up Sew Liberated. (This is the same book that gave me the pattern for the baby nightgowns. )If these won’t cover a fluffy bottom and still leave room for mobility I don’t know what would! On the left are the 6 – 12 month side, 0 – 6 months on the right. Right now they seem huge, but babies grow so quickly. I plan to make at least one more pair in the 12 – 18 month size, and then may make second pairs in each size as well after that. And here is the rear view… Yep, plenty of room for a well padded little tookis!